My name is Luke Sampson. 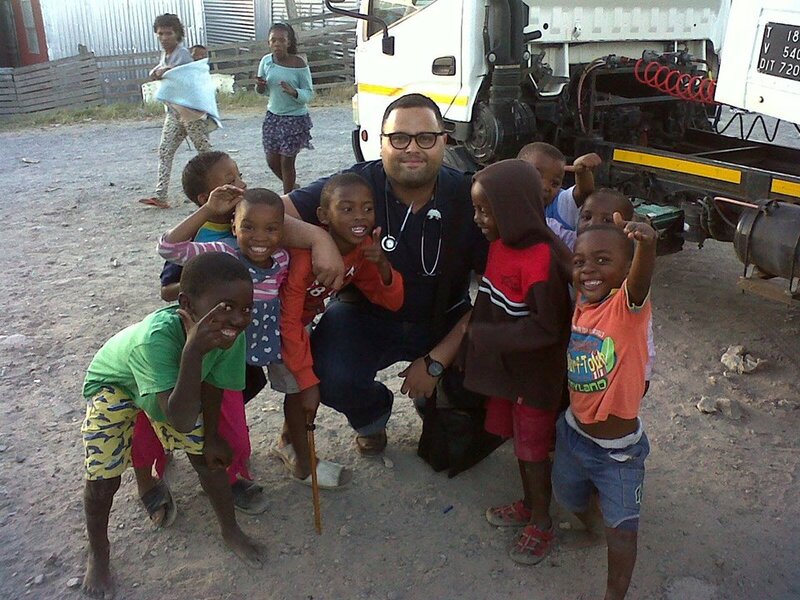 I am a Community Service Medical Officer (CSMO) and I come from Port Elizabeth. I am also a musician, music producer and a DJ. 2. Have you always known that you want to be a doctor? From a young age I always had an interest in Medicine, but it was not always what I wanted to do as a career. Up until grade 11 I wanted to become an Aeronautical Engineer. It was only in my matric year that I felt that my calling in life was to become a doctor and I believed that this was God’s plan for me. 3. What made you choose medicine? 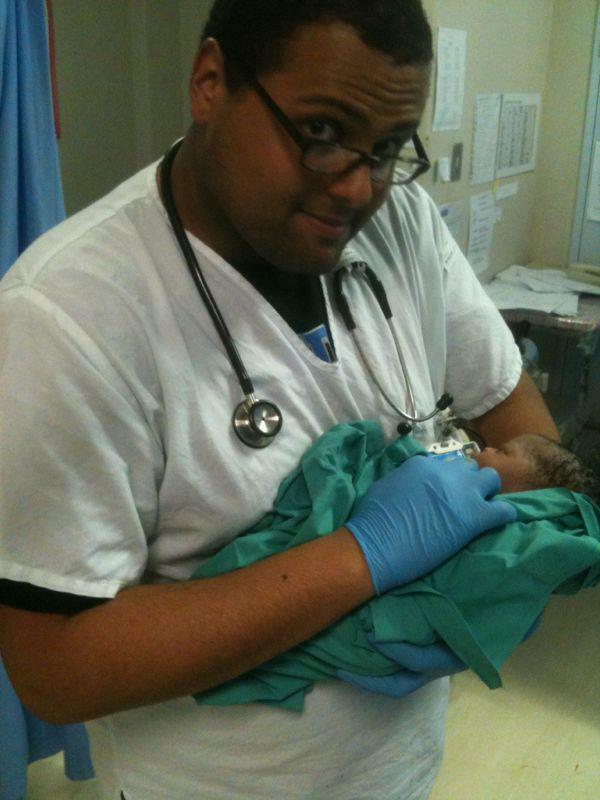 I chose to do Medicine initially because I felt that it was a ‘life-calling’ and it was what God wanted me to pursue. However, I also liked it because it was very academic and posed a good challenge for me. The idea of then also being able to give back to my community, in the most direct way possible, was more motivation than any other. 4. What were the main challenges while studying? The biggest challenge whilst studying was having to deal with life outside of Medicine, moving on without you. It is now a ‘challenge’ to know what is happening in your family’s lives, and this makes you feel very distant from what has been your reality for the last 18+ years. The other difficulties were much more academic, and the pressure is very real. All the time. There is no time to take your foot off the accelerator, because you will fall behind. However, you must always make time for yourself and those who make you happy. This is what motivates you. You will see yourself grow and you are directly responsible for the direction in which you grow towards. Another big challenge that is continuous, is not wavering when your morals and beliefs are challenged, because this will happen every day, but developing yourself into the person who you want to be. 5. What happens when you graduate? When you graduate from Medical School, you then start your internship. You get given a practicing number and with that a logbook that needs to be completed after your 2 years of internship. This logbook is very similar to the logbooks that you must complete during Medical School, and like the logbooks it Medical School, if they are lost or damaged, everything must be done and signed off all over again. This can be hundreds of tasks that need to now be completed in a very short space of time. Don’t put yourself in this position. During internship, you rotate through all the different departments in a hospital, or complex of hospitals. This, is not usually your home town or where you studied, but is a place that is chosen at random from a list of options that you provide. Sometimes if you can’t be placed because posts have been filled at the hospital already, you are then second rounded and must apply to a list of hospitals that still have available posts. At the end of internship, if you have been signed off by each department and found to be a safe doctor, you are then allowed to apply for community service. This is a very similar allocation process as is done when applying for internship in your final year of university. Once you have completed your community service year, you can either go into private practice or to continue in state service. To specialise you must be at a hospital in state service to train as a specialist. However, if you have gone into private healthcare, you can come back into the state service. Most specialisations require 4 years or more in a training position (registrar) at a state hospital and a hand full of examinations before you can be certified as a specialist, or sub-specialist. If you would not like to work in the private health sector and you would not like to specialise, you can work in the specific department that you enjoy most in a state hospital or clinic and you can also take many different extra courses in the field that you enjoy. But what if you do not want to practice medicine anymore? Well, then you can literally do almost any type of work that you would like to do. Medicine can either take a lot away from you or it can give a lot to you in many ways. It is up to you to choose where the path leads. It is your life. 6. How would you describe your experience so far? Have you thought about your next move…whether to specialize or to open your own practice? From the day I started final year I had a very ambitious, but achievable, plan for my future. Deeply rooted in medicine. Very academically directed. And also, very selfish. I had achieved some things in university that not many have, and I valued this very highly. I was advised by some people, whose opinions I valued very much and who were role models for my life and my plan, to pursue these goals and to pursue them to the fullest. This was an honour for me, not because of what I achieved, but because it made me realised that these people saw in me, a bit of that something that made them great. I always loved the heart. Always. Mainly because of its mechanics and because it was the only organ that produced a beat. An ever altering but always controlled beat. And learning the reasons why this beat would no longer be controlled or exist fascinated me and thus I want to specialise in cardiology one day. However, life had other plans, 2 months of internship, the beginning of my plan of getting onto the path of becoming a cardiologist one day. Life taught me a very humbling lesson. I had to admit my grandmother and grandfather to hospital on the same day. My grandfather had a severe heart attack and spent the next few weeks in a medically induced coma in ICU. Whilst my grandmother was diagnosed with a brain tumour and later passed away from complications of the surgery. This, and other challenging events have made me look at my plan and ask myself if I still want to do it, or if I can still do it, but in a less selfish way. It also made me look at how I am being selfish towards myself in not doing things that will make me happy. I have since started making house music with some friends of mine. And I am starting to take it seriously. It makes me happy. But so, does medicine. 7. What advice do you have for anyone going into medicine? My advice to anyone wanting to do Medicine is to do it fully. Do not go into it feeling unsure. And if you are unsure, ask yourself why and that will let you know what will truly make you happy. Find out what you need to do to get into the university you want to get into and do everything you can to do that. Make medicine your hobby and make what is your hobby, your job. That is the quickest way to do what is your love and what is your passion at the same time. And always be thankful. Wherever you are, you are in a better place than someone else. Read our previous interview with Accountant Zanethemba Malinga.